3. 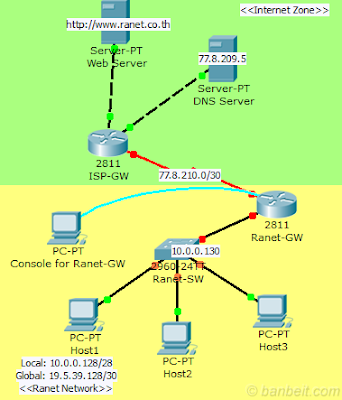 Set the default route to let the connection out to the internet. Remark: use ACL no.1 and pool named“Ranet” only! exclude addresses of the gateway and the switch. Remark: use pool named “Ranet” also!